Stewart Brown Original art is now on show and for sale in Old Churches House Dunblane. Pop in for a coffee or a meal and have a look! 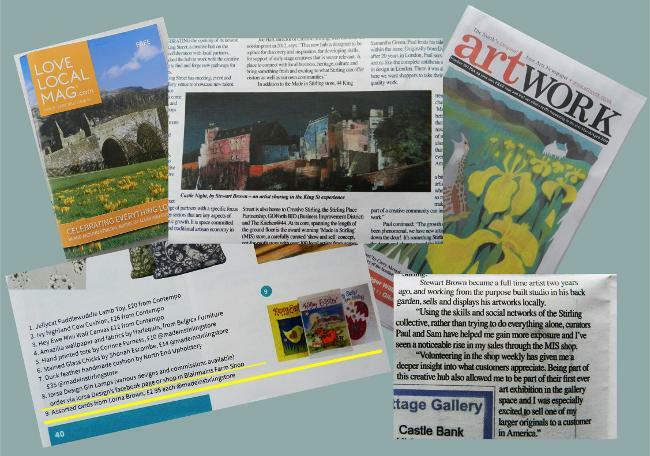 Lorna and Stewart have been mentioned in the below publications this month!